Summer by the Numbers. What happens to children during the summer? THE “SUMMER SLIDE” is what often happens to disadvantaged children during the summer months. 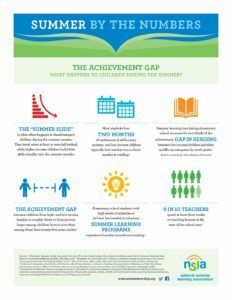 They tread water at best or even fall behind, while higher-income children build their skills steadily over the summer months. Click the infographic for more information. We invite you to support us by providing books, resources, or materials to meet the needs of our students and meet our goals of the Books and Bytes programs! We are also accepting monetary donations through the Castleberry ISD Education Foundation. Book Donations - New and Gently used children's books. Pre-school - eighth grade. Please drop the books off at any Castleberry ISD school library.